Chicco offers entire new line of its cups that best suit the needs of your little one across every stage of his/her development.The new Chicco Sport Cup that for 14 months+ children allows practical and easy drinking for your child both indoors and even outdoors. 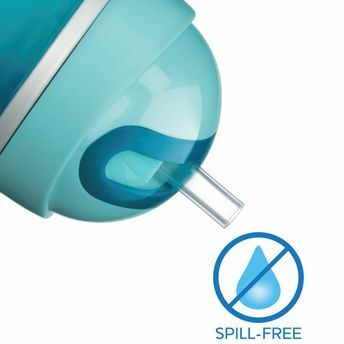 It has a soft silicone straw with ?ip closure to keep it clean and an integrated spill-proof system. It is easy to use even on-the-go.